Apply to clean skin and massage upward until penetrated. Follow with appropriate replenishing moisturizer. 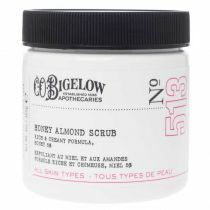 May be used as primary moisturizer in extremely humid climates or for oily skin. 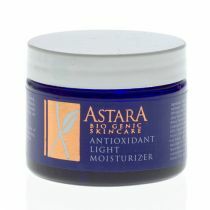 Astara skin care is a profoundly effective natural skin care regimen founded by the super-model Sunny Griffen. The products provide health, harmony, balance and a youthful-glow to the skin. This potent premoisturizing “foundation” is healthy, nourishing, and balancing food for all skin types. Featuring time-released delivery over five hours as well as powerful antioxidants such as White and Green Teas, Borage Seed Oil, and Vitamins A, C and E, this nearly weightless emulsion achieves profound penetration and encourages cellular repair for all skin types. Ingredients: Water (Aqua), Dimethicone, Butyrospermum Parkii (Shea Butter), Methyl Gluceth-20, Steareth-2, Simmondsia Chinensis (Jojoba) Seed Oil, Oenothera Biennis (Evening Primrose) Oil, Boswellia Carteri Oil, Borago Officinalis Seed Oil, Citrus Aurantium Dulcis (Orange) Flower Oil, Aloe Barbadensis Leaf Juice C.O., Calendula Officinalis Flower Extract, Symphytum Officinale Leaf Extract, Camellia Sinensis Leaf Extract, Cymbopogen Schoenanthus Extract, Dioscorea Villosa (Wild Yam) Root Extract, Hamamelis Virginiana (Witch Hazel) Extract, Vitis Vinifera (Grape) Seed Extract, Punica Granatum (Pomegranate) Extract, Panthenol, Tocopheryl Acetate, Glycerin, Steareth-21, Sodium Pca, Carbomer, Sodium Hydroxide, Ascorbic Acid, Sodium Hyaluronate, Phenoxyethanol, Ethylhexylglycerin.